There is much to admire of Omega. Not only is it part of a large multinational group (The Swatch Group), but on its own, it is a formidable force in watchmaking. But yet, it is not one to rest on its laurels, and continue to innovate. The latest series of Omega watches, featuring the co-axial escapement, first introduced by George Daniels are one example. 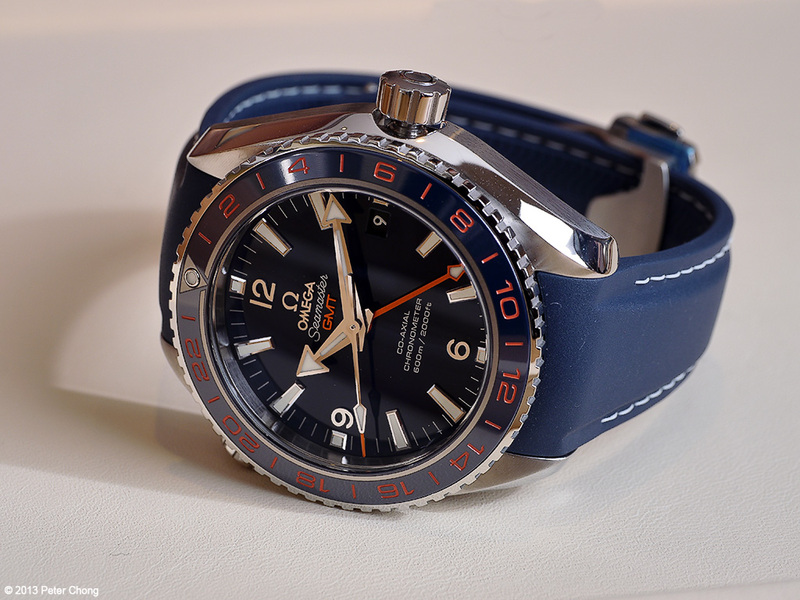 In today's feature, the Seamaster GMT. 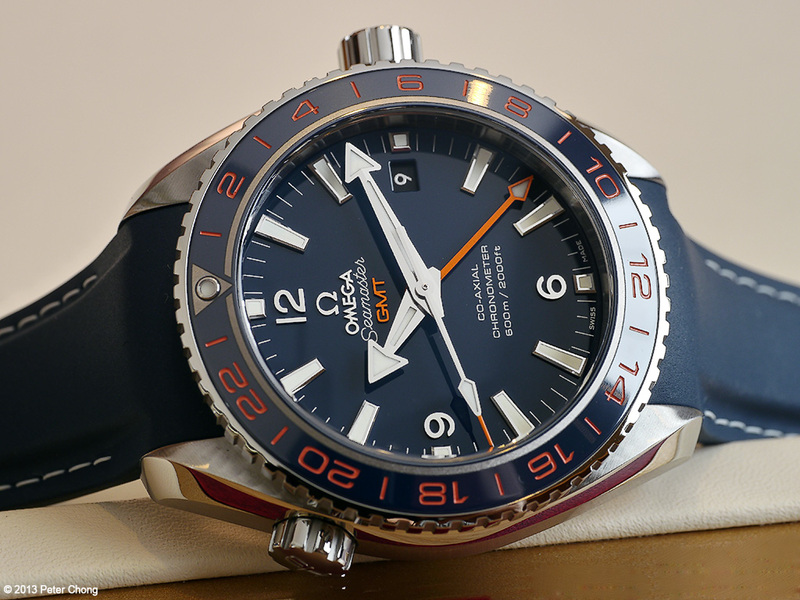 Designed as a tribute to the partnership between Omega and GoodPlanet Foundation, the watch has a beautiful blue dial, with applied indices, and bright orange accents on the rotating bezel. Quite a beautiful combination. The movement is the caliber 8605, with the co-axial escapement and Si14 silicon balance spring. and the case is water resistant to 600m. 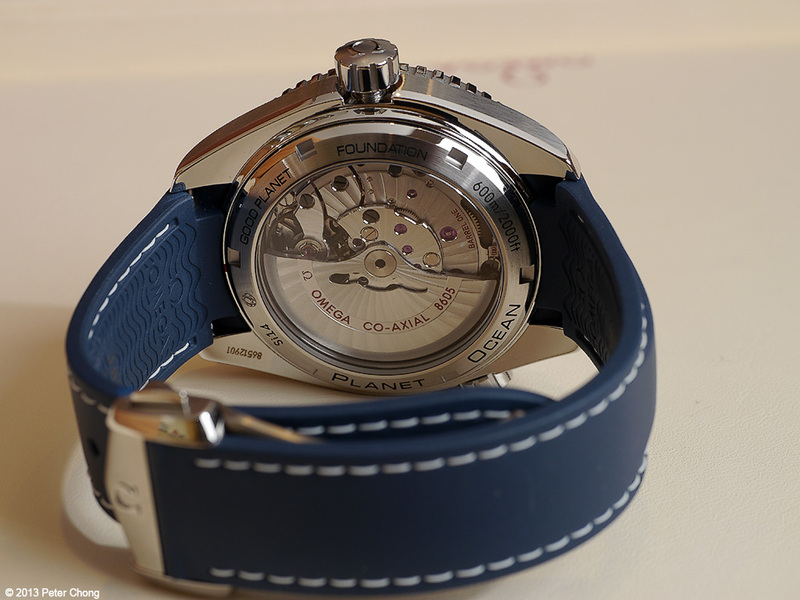 The movement is self winding, with timezone and GMT functions. 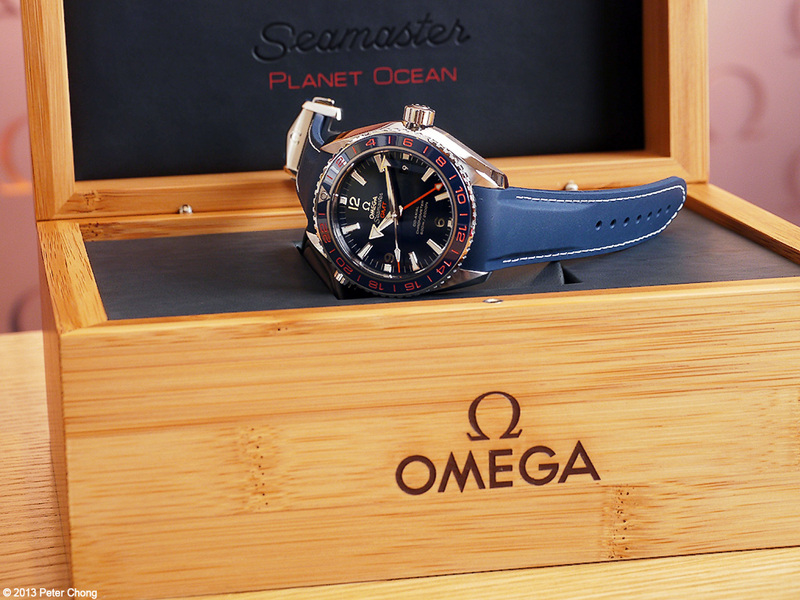 As a sign of confidence, this watch is offered with a full 4 year warranty.